How can I help my 14-year-old child with high functioning autism to handle disappointments? Almost on a daily basis, he feels mistreated by one of his friends, or something at school doesn’t go just right, or he gets into trouble here at home and receives an undesirable consequence. I don’t want to send him into a depression – but at the same time, I want him to be more resilient and responsible. Also, I’ve heard you talk about how we, as parents of autistic children, tend to be over-protective – and the damage that we do as a result of this kind of parenting. Is there some way I can help him without being over-protective? If there is one lesson that no parent enjoys teaching their youngster, it is “the art of getting over disappointment.” This is partly because no one likes to be disappointed or have their hopes shattered—but it is a raw and honest part of life. Figuring out how to teach our High-Functioning Autistic (HFA) and Asperger's kids this lesson can be difficult though. We don’t want them to give up or lose heart. Here are some ways to help you teach your son how to cope with – and overcome – disappointments in life, and to grow from experience. 1. Allow your son to make mistakes. True learning involves making mistakes, which often leaves kids frustrated. Frustration requires a level of determination to see the problem through. Unfortunately, many kids lack a sense of resolve and give up on a task immediately if they don’t get it the first time, thinking that it’s too hard, or worse, that they’re “stupid”. Why is this? One theory is that our “drill and kill” methods have eliminated the development of creative problem solving, teaching kids that there is one and only one answer to most problems. Unable to get the one “right” answer, they lack the motivation to try alternate strategies. Another idea is that kids who are accustomed to a steady stream of positive reinforcement, often for insignificant accomplishments, are paralyzed when faced with something they cannot do immediately. Because they perceive things as coming to them easily, it is a threat to their ego to find something that challenges them. It is less threatening to give up. 2. Be understanding. Your son may not get over the disappointment immediately. This doesn't mean you are doing anything wrong, but not all kids bounce back at the same rate. Be patient and understanding and soon your son will grow to forget the disappointment itself, but your reaction to it and what he learned in the process will say with them. 3. Give your son time and space to deal with his disappointment. Not all disappointments are simple or minor, and even some that are will not appear that way to children. Not being able to play a video game, in a parents estimate, is not the end of the world. But for a kiddo who has been looking forward to that game all week, missing it may seem major indeed. This is why the best parenting advice for teaching children about disappointment is to carve out some time and space for kids to feel their disappointment. After trying to help your son see that this is a disappointment that may not be as serious as he thinks, sometimes you will have to step back and direct your son to continue dealing with his disappointment in the privacy of his bedroom. After a reasonable time, check on your son – and usually you will find that he has calmed down and has put things into perspective. This is a much more successful approach than telling him to simply stop being upset. When kids realize that they have a place to go and think about their disappointment, they will learn how much or how little time they really want to assign to their disappointment. 4. Don’t try to fix it. As a mother, your first instinct may be to try to fix the problem(s). However, just as it is a parent’s role to help her child become proficient in feeding himself, assist her preschooler in learning to use a potty, and teach her grade-school child to tie his shoelaces, it is a parent’s often unhappy duty to give a blossoming young adult the tools they need to cope with disappointment. Even if your son wants you to come to his rescue, resist the urge to pacify his hurt by taking action or dwelling on things that can’t be changed. This is not easy, but kids are often more resilient than we give them credit. Though children of all ages may be quick to dramatize their displeasure, many bounce right back. Look carefully at your son for cues, don’t bring up his disappointment if, by the next day, all seems right with the world again. Accept that your son may have recovered more quickly than you have! 5. Don’t try to save your son from disappointments (related to #4 above). Many parents erroneously believe that for kids, disappointment should be avoided at all costs. Everybody makes the team, everybody gets the same grade, and everybody is included. There are several problems with this attempt to make everyone feel good about themselves. First of all, it isn’t fooling anyone. Telling someone they’ve done a great job when they clearly haven’t is not only insulting, but it tends to set a tone of low expectations. Self-esteem is built through mastery, not through pretense. Second, it isn’t grounded in reality. Giving a child false expectations about his abilities and skills is not only dishonest – but unethical. Lastly, letting children face the letdowns of life, however painful, is necessary for emotional growth. Children who haven’t had practice developing coping skills for disappointment fall apart later on when no one is standing there ready to rescue them. Though the pains of life can be heartbreaking at times, they are learning experiences that, when faced with the loving support of a faithful parent, help prepare children to deal with struggles in the future. 6. Listen, don't talk. You'll be tempted to start pointing out all the reasons why the situation is "not so bad," but kids don’t function the same way grown-ups do. Logic plays very little part in soothing a disappointed child. Listen intently to what your son tells you about his thoughts and feelings. 7. Congratulate your son when he handles disappointments reasonably. Nothing encourages kids to face and deal with disappointments reasonably as much as moms/dads who display pride over their child's actions. Kids love to hear parents say, "I'm so proud of you for not losing your temper" …or "You did a good job understanding that you couldn't go to the movies with your friends today." Words of support and encouragement each time a youngster makes a decision to deal with a disappointment can really help to turn inappropriate behavior around. Kids seldom tire of hearing that they handled a situation with good judgment. The desire for parental approval and praise is one of the chief motivational forces in a youngster's life. 8. Offer personal experiences. Once your son settles down from the “bad” experience, tell him about a similar personal experience that happened to you. This will show him that he is not alone in his disappointment. You can even point out that, as an adult, you are still disappointed by things that happen to you. 9. Offer perspective. Whatever the situation may be, you can find a way to help your son put it into the proper perspective without ever using the dreaded phrases "It's not so bad..." or "It could be worse." 10. Be patient, then be a little more patient, and then have even more patience as your son figures out how the real world operates. How big is the problem? It feels like a disaster. On a scale of 1 to 10, how bad is it? How can we make sure that this problem doesn't mess up anything else in your life? How long do you want this disappointment to make you feel bad about? How long will the disappointment last? A day, a week? How upset do you want to be about this now, given that it is going to feel better soon? Is there a part of this issue that you can control, change, or improve? Is there anything you would’ve done differently? What are some alternative things to say to yourself to counter the alarm messages going through your mind? What can you do now to make the situation better? What is the worst part of it for you? When will it be time to move on? Often times, the sooner people get going on Plan B, the sooner they start to feel better. The key is for the youngster on the autism spectrum to learn to be able to distinguish between serious disappointments and trivial ones. 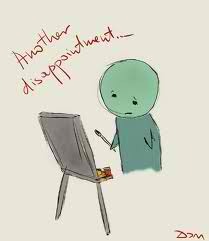 Disappointments are a part of everyone's daily life. But, your son won't be disappointed in your attempts to help him deal with difficulties if you consider using some of parenting strategies listed above. • Anonymous said...OUR youngest SON is 19. HE left the house 5 WEEKS ago after getting extremely upset due to a little misunderstanding with his 21 year old sister. HE BECAME SO ENRAGED and MAD and as antagonizing his father and 25 year old brother thanks God they behaved very wise. Until that day we thought everything was good between members of the family, except the normal growing up problems in families. I have to say there is no abuse in the family. SO IT WAS UNTIL OUR 19 year old and youngest left after his father asked to leave (to cool down), that I began searching for anything that will lead me to something that will describe his character. It was like a brick hit me when I came across the asperger's syndrome, that described his character more than anything else. WE ARE A VERY CLOSE FAMILY and this is the first time that a son does that; leaves and DOES NOT TAKE OUR CALLS OR RETURN OUR MESSAGES. we want him back home but we can't communicate. HE STOPPED GOING TO COLLEGE CLASSES the next day he left the house and is working full time. The family that he lives with now is a decent family that we didn't know before but I called them over to see what can we do to take things back to normal. They are nice but I don't ever get any information about our son or whether they are really trying to help him go back home. IT IS A STICKY SITUATION. THE MOM HAD TOLD ME THAT THE FATHER (THE HOST FAMILY) is getting information about their son from our son because he asks him about their son and our son tell it all, I think they are benefiting from this situation, and they gave our son a scooter to ride to work, since he does not have his car, something they know we are against. I went to talk to a therapist to see what I can do and did not go anywhere. • Anonymous said... That's a really nice summary of a lot that I've learned over the past 2 years in dealing with my son. I would like to add a word: be careful about asking too many of those questions at once, or you could come across as blaming the child for the disappointment. I've seen my son withdraw from his therapist when she's too quick to ask him what he could have done differently. The first response must always be empathy. • Anonymous said... I don't know what I could tell you about my child. My wife and I ached for a child for 10 years and he was born to us almost 5 years ago. He came home from the hospital angry and irritable, and his entire life with us has been spent "dealing" with him. I don't know how to describe our life with him other than that everything is a fight - even the simplest of actions - waking, eating, playing, going to bed - everything - is met with his resistance, interference, or constant bickering. Zero cooperation. Talking, reasoning with him, time-outs, punishments, nothing works. And yet when he goes to pre-K they have a very structured day and he is ok. I try to talk with parents who have normal children, and they think they understand, but I get nowhere and feel alone and even more isolated with what we have to deal with. Weekends are the hardest - any sustained time with him in which every single minute is not programmed out to the last detail leads to meltdowns, temper tantrums, screaming and relentless pursuit of his goals. I think sometimes he doesn't know what he really wants, but if my wife or I want it, he's sure that's the only thing he doesn't want. I can't teach him anything, show him anything, share anything with him. I'm beginning to think that the only hope for him and for us is arranging an open adoption with parents who may know how to handle a child like this.. My wife has given up - she can't have a single interaction with him that isn't met with defiance. He disrespects any adults who are kind to him. I have been a successful school teacher for 25 years with hundreds of kids, and I've never encountered a situation like this. We feel isolated in our home, like mice in a box with a cat that toys with us endlessly. We have social relationships at church and a pre-k group on Sunday nights that he's starting to poison with his abusive treatment of kids. He will suddenly - out of the blue - do something completely unexpected - like hit a kid in the face with a basketball at close range; or smack a kid in the face in the play group with a toy gun and cut his face open; or suddenly run into the street in front of a car; or run away from us in a crowd and disappear. He especially does these things in front of our friends and the overall affect is to make us hide from others in shame. He makes us look horrible, like we are the worst parents in the world. We're humiliated; we're angry; our life with him seems so very very wrong, but there's nothing we can do about it. He seems to have an indomitable, relentless will to selectively ignore what he doesn't want to hear and make demands for what he wants. Although he's only 4 years old, each week it gets incrementally worse. And we dread any kind of free time with him. It's like your jailer demanding that you entertain him. If I was to look into his future I see drugs, gangs, promiscuity, anti-social behavior, juvenille hall, and ultimately a life in prison - and we seem powerless to change it; and if I was to say this to anyone they would assure me that I was intensely negative and unfairly resigning him to the dung heap. We're the problem; not him. My wife and I love each other; we always have; we are secure in our relationship; there is no smoking gun that I can see. We have a lot of love we could give him if he could just find a way to accept it; but any moments of tenderness, where we feel we've "finally turned a corner" with him, are immediately followed the next day by some outrageous act that dashes it all. He's now resorted to pee-ing on the carpets in his room. • NGUP said... I am so sorry for your grief! It is heart wrenching to love when we are pushed away over and over, especially by our young children. I went through a couple years where my second oldest was out of control in his communication, pushed us away, and would react instantly in aggression. My husband and I would feel as if we were terrible parents. We did eventually put him on medication, and I took the mottto "Rock the love into Him", which meant, when he was able, I would hold him and rock him. A lot of times that was when he was still upset. When people meet my son today they cannot believe that he would ever be that kid. He is driven, because he is so persistent, and he has been able to use that persistence to achieve his own goals. Moms adore him, girls swoon over him, he has his own amazing story of overcoming obstacles. Keeping his mind and body busy with activities helps him. We have been fortunate that our two youngest didn't have these struggles, and by all definition "normal", but my eldest son had also had his own share of struggles. He would throw the biggest temper tantrums, it would happen when he was young. Finally, I realized it was in smaller spaces, like the car, anywhere it was noisy, if someone cried, too much stuff going on, textures in clothing. If we had been anywhere, like a grocery store, it had to be quiet and peaceful when we got home, no tv, quiet instrumental music sometimes. It took a long time to realize it was anxiety, part of Aspergers, he didn't know how to explain being so young. We are going through phases to learn to deal with teaching new methods to cope. We each have our own journey to travel. I cannot say that I understand yours completely, as we are all unique in nature. I am sure you have received lots of advice, but don't give up. Dr. James Dobson wrote a book that helped me, it's titled "The Strong Willed Child". Make sure your no is no and your yes is yes. I pray you find the right psychologist to help him, most of these struggles are disabilities we do not always see with the eye. Remember that no one is a perfect parent, or knows all the right answers. I don't blame you for being embarrassed about his choices, but my hope is that you aren't embarrassed about him or yourself as a parent. That was the best advice someone gave me, was to never be embarrassed of your kiddo. Pray often help tremendously, many blessings to you.